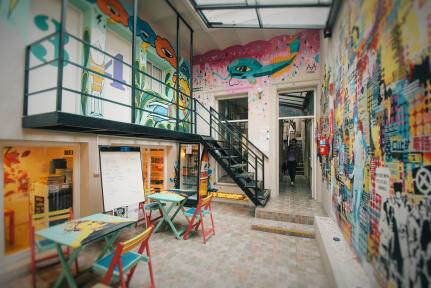 Art Factory Palermo kohteessa Buenos Aires, Argentiina: Varaa nyt! -There are security boxes for all (remember to take your own lock), but they are quite small. Rest of the luggage are left on the floor. I guess you could have locked the bedroom door (with an ancient key), but nobody did that. But nothing happened, so that's fine. 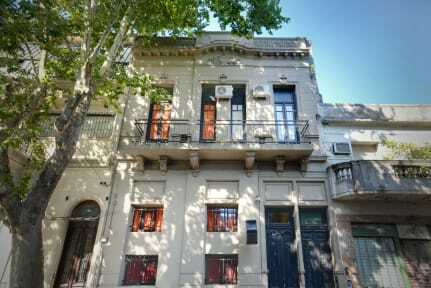 -Excellent location close to Palermo nightlife area! -Really friendly and helpful staff, that spoke fluent English! -There was a thick layer of dust in some corners of the room, also the bathroom was a little bit weared out.